For the chilliest of milk, you'll need one cool container with a thermal design. 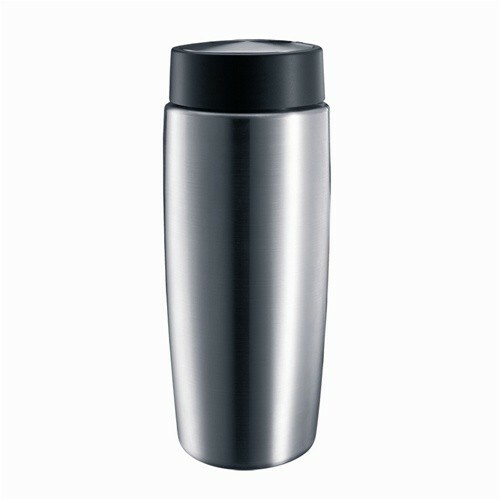 Meet the Jura Stainless Steel Thermal Milk Container, a silvery canister that features an insulated glass thermal interior to hold 20 ounces of the milk of your choice (think everything from soy to skim). Jura's Stainless Steel Thermal Milk Container keeps your moo juice cold for up to eight hours and is compatible with Jura's Z6, Z5, S9 and C9 machines as well as the Jura FrothXpress attachment on the Jura ENA 5, J5, S and F Series. Eight-Hour Cooling Time - Jura's Stainless Steel Thermal Milk Container keeps milk cold for up to eight hours. Small Size - This milk container holds only 20 ounces of liquid. The Jura Stainless Steel Thermal Milk Container holds the least amount of milk among the other containers in the line and is therefore more likely to be used in households. We suggest refrigerating overnight for optimal use.